Rose Hills is pleased to offer our “Basket of Love” program as a thoughtful, dependable way to remember your special loved ones with flowers. Our beautiful baskets contain a selection of fresh cut flowers and natural plant materials. We’ve included a form you can download, print and fill out. 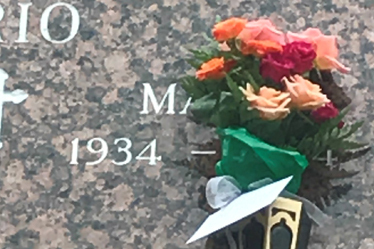 Please check’ the holidays on which you would like to have a basket placed on the grave, or at the base of the mausoleum or niche, as well as indicating the price. The type of flowers/bouquets will change with each additional price category. Please return this order form at least two (2) weeks before the first date you select. If you have any questions or would like us to mail you a copy of the form, please feel free to contact us at (845) 528-3516, Monday – Friday from 9 a.m. – 4 p.m.
*Note orders for delivery on a Weekend or Holiday will be placed the Friday before to ensure placement due to limited staffing of Grounds crew. Download and print out the order form for Baskets of Love by clicking on the link below. Shown here are examples of the selection of flowers available for the flowers you order. Flowers will vary by season and availability. 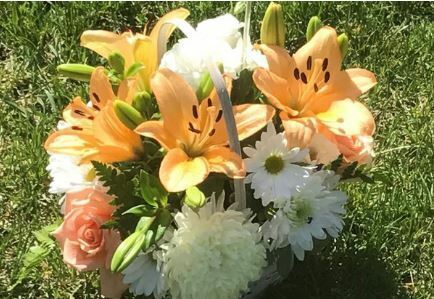 Our flower program offers bouquets in Small ($30), Medium ($40) and Large ($50). 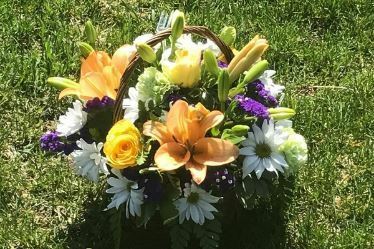 You can order bouquets specifically designed for mausoleum.